With a shelf life of up to 2 years these Chloroformate short-term gas detection tubes are a cost-effective way of gas detection. 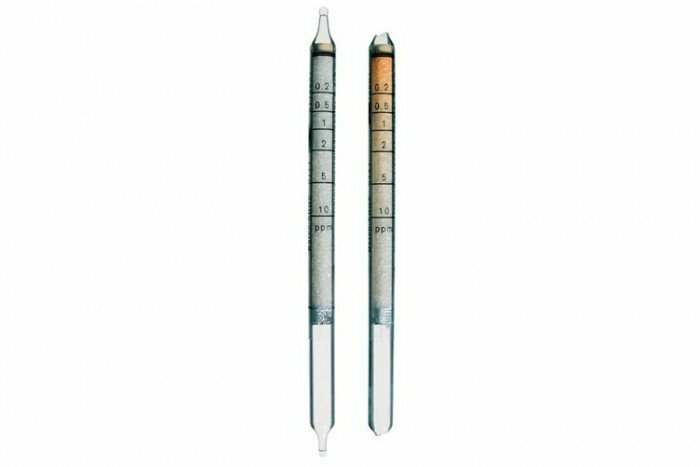 These particular chloroformate tubes (0.2/b) have a measurement range of 0.2 to 10 ppm and come in a pack of 10 tubes. Methyl, ethyl and isopropylchloroformate are indicated with approximately the same sensitivity. It is impossible to differentiate them. Petroleum hydrocarbons, aromatics, alcohols and ketones in the TLV range do not affect the indication. It is impossible to measure chloroformate in the presence of phosgene.